There was a time when businesses could only reap the opportunities that strong market signals yielded. Businesses moved slowly and couldn't gamble resources on anything but the strongest opportunities—the cost was too high. But now, by focusing on speed and scale, you can respond rapidly to weak signals in the market to exploit opportunities or quickly decide against them. Join Jez Humble in this free webcast as he shows how continuous delivery of code is the key to exploring and exploiting opportunities in an inexpensive and scalable way. He'll present real-world examples and give you concrete guidelines for reducing cost and risk in your organization while powering innovation at the same time. 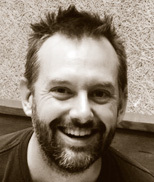 Jez Humble is co-author of Lean Enterprise and Continuous Delivery (Addison-Wesley), the Jolt Award-winning book in Martin Fowler's signature series. He began his career at a startup, and then spent 10 years at ThoughtWorks, building products and consulting. He now serves as a Vice President at Chef, and teaches at UC Berkeley. Jez Humble and Gary Gruver will also be presenting a full-day, interactive and highly personal course at Velocity 2015 that will teach you to run a high performance organization by applying Lean and Agile methodologies beyond just dev and ops. Co-author of Lean Enterprise, part of the Eric Ries Lean Series with O'Reilly Media.